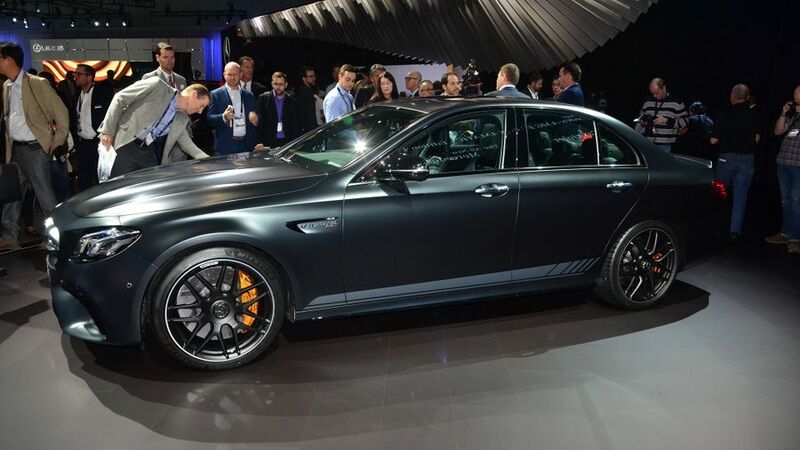 The new Mercedes-AMG E63 S 4MATIC+ saloon is the most powerful and insane E-Class of all time and has been unveiled in ‘Edition 1’ launch trim at the 2016 LA Auto Show. 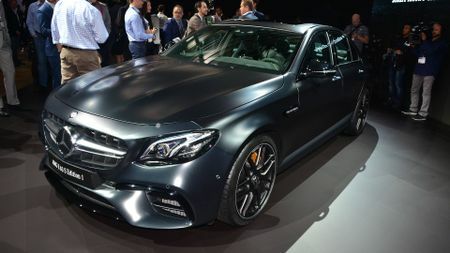 Boasting a redesigned front grille, enlarged wheel arches that house 20-inch alloy wheels, a matt paint scheme dubbed Designo Night Black Magno, plus some side stripes that Mercedes calls ‘acceleration lines’ (and that we hope can be peeled off), the Mercedes-AMG looks sinister without even pushing the starter button. 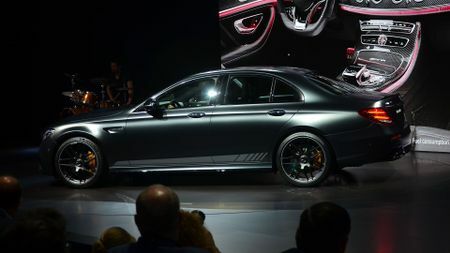 Using a nine-speed dual-clutch gearbox and a sophisticated four-wheel drive system that can transfer up to 100 per cent of the power to the rear axle for maximum tyre-smoking, the E63 S is able to accelerate from 0-62mph in in a supercar-baiting 3.4 seconds and has a top speed limited to 155mph. 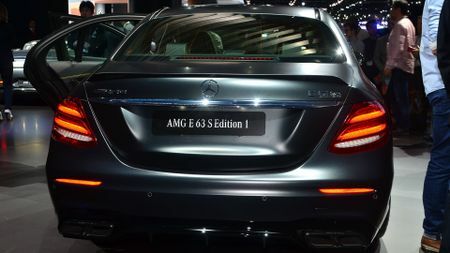 That is unless buyers specify the optional AMG Driver’s Package, whereby the car's top speed can be extended to 186mph. 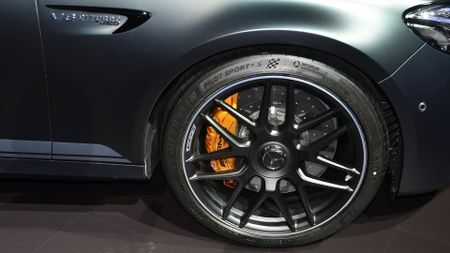 The huge brakes that you can see peeking through the wheels also ensure the monster Mercedes stops as eagerly as it goes. Completing the special-edition theme inside are some carbon-fibre trim, AMG performance seats, ‘Edition 1’ lettering on the steering wheel, and yellow stitching to contrast with the black nappa leather. You’ll need deep pockets, mind: we’re expecting a £90,000 price for this car, which will arrive in UK showrooms in May.